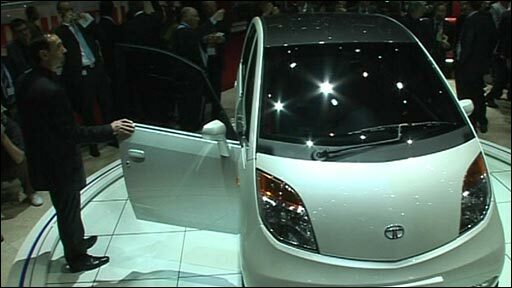 Indian firm Tata Motors is to build the world's cheapest car in the western state of Gujarat. Tata group chairman Ratan Tata said the Gujarat deal offered the best chance of making the car, the Nano, as quickly and cheaply as possible. 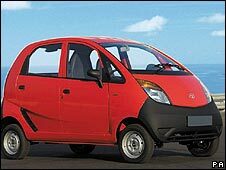 A Tata Motors statement said "the mother plant for the Nano will be relocated to Sanand in Gujarat". Gujarat's government has offered about 1,100 acres for the site. The Tata decision comes after offers of land from several Indian states. "The company has concluded that the site at Sanand and the offer from the Gujarat government is in the best interest of the project," the statement said. "While awaiting the Sanand plant's completion, Tata Motors will explore the possibility of manufacturing the Nano at its existing facilities at Pune and Pantnagar, and launch the car in the last quarter of this financial year." Ratan Tata told reporters that the fact the land was already in the possession of the Gujarat state government "will help Tata Motors establish a new dedicated mother plant with the shortest possible time lag and least possible incremental project cost". Work at the plant in West Bengal had been suspended since August. Tata announced on Friday that it was finally pulling out. The dispute highlights a wider problem between India's growing industry - which needs land - and its farmers who are unwilling to give it up. The Tatas will be the second automobile company to set up their plant in Gujarat. Gujarat along with Maharashtra tops Indian states as a major investment destination.